The premise is the same for all ID - TO SAVE YOUR LIFE! I will say that MyID has some particular features that not everyone has. 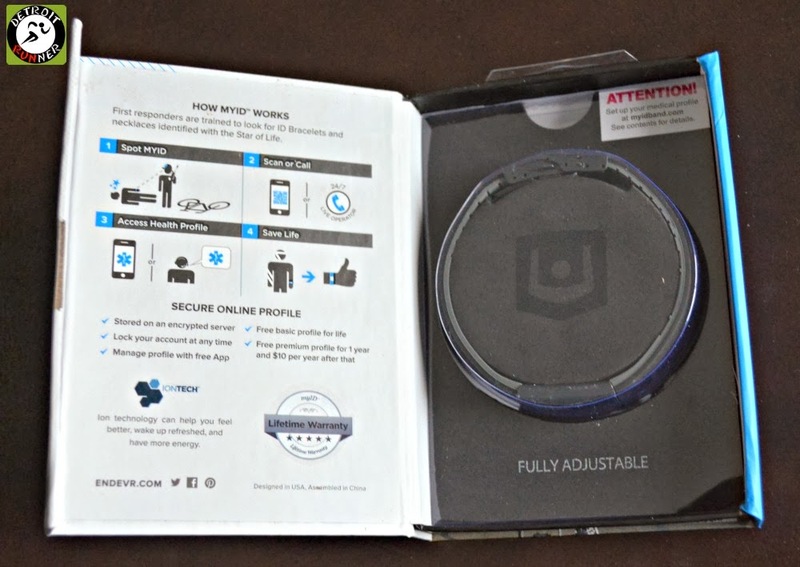 The bracelet itself is quite comfortable, waterproof, and very easy to put on and take off as you can see below. It's kind of like many watches that clasp open easily. There's a guide to help you size it properly so you get a custom fit. As you can see, there is a phone number to call that pertains to your specific ID and pin number so any medical professional can get medical information right away. The company staffs the number 24/7 so there is always information available when it's needed. As you can see, there is a sizing strip that allows you to measure easily. It also comes with MyID stickers if you should choose to use these too. Cut the appropriate size as you can see below and discard the cut pieces. 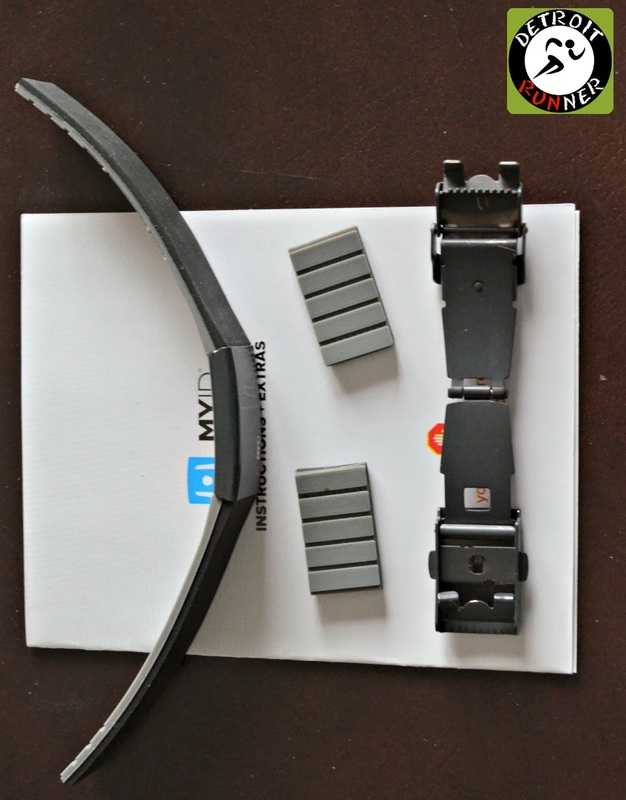 You simply just add back the strap onto the clasp and lock it into place. With that, you are all set with the bracelet. The bracelet also includes 800 cc of Ions which can help you feel better, wake up refreshed and have more energy, according to the company. Frankly, I've tried specific Ion bracelets and can't say that I notice any different but it can't hurt, right? 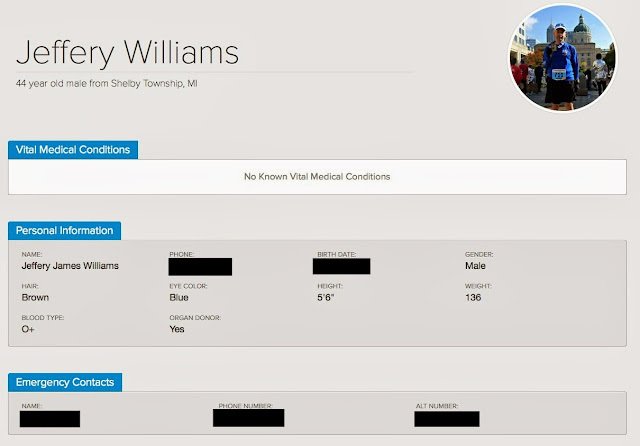 Now you need to set up the information on their website in case a medical professional needs the information. All you do is sign up and set up your email and password so you can enter the information on their site. 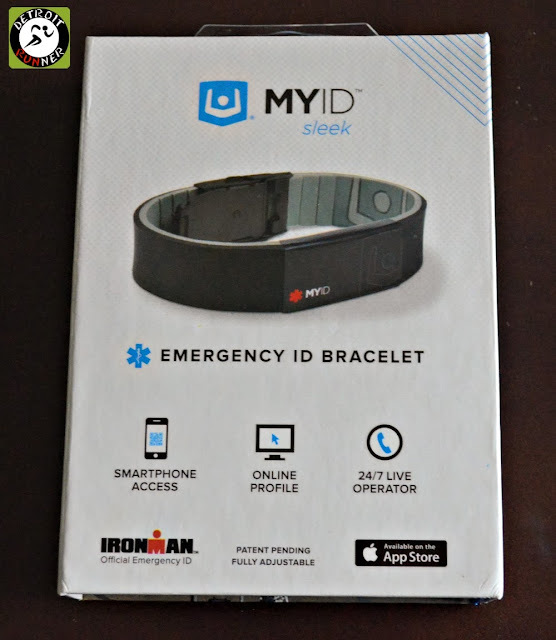 As you can see below, the MyID adds some extra feature from other emergency ID bracelets in that it allows you to set up a profile(for free) online and, God forbid, you need to use it, you are ready to go. Go onto myidband(dot)com and once you have a login, you can enter your name, contact infomration, if you are an organ donor or not, blood type and any other medical information. If a first responder needs the information, they just enter the ID number and PIN number on the back of the bracelet like I showed above and the following screens will come up. You can even put a picture in there of yourself so there's no mistaking who you are. Thankfully, I don't have any Vital Medical Conditions but for those of you that do, this could be really important information. If you have an specific allergies or medications you are taking, they can be listed here as well. In addition, a contact for your physicians and insurance information is also included. For an extra precaution, you can also order a slider on the bracelet that shows a specific condition such as Peanut Allergy, Diabetes, etc. Including the information on their website, you can also download an apple app in the app store for free that includes information on your phone to help first responders. The information can be set up on your lock screen(through a QR code) in case first responders look at your phone. Personally, I don't have my phone with me very much while running but I'm sure many of you do and it could prove useful. Included in the cost is a free premium profile for the first year and then $10 per year after that. You can also purchase up to 15 years of service up front but frankly, I'm not sure I see a reason to do that especially since I don't know if the ID band will even last that long(or I might lose it before that long of time). It does, however, have a lifetime warranty. The MyID is on sale at their website for $35 currently. Not a bad price so you don't have to worry if something happens while you are out on your ride or run. Regardless of what you do, I strongly recommend that you carry some form of ID with you while out running. In this case, it just makes is simple to not have to worry about it anymore. Note: I received a complimentary MyID bracelet in exchange for this review. All opinions are my own and I was not required to give any particular opinion on the product except and honest one.